April gave us a heatwave and then a brief return to winter, let’s hope May is full of spring sun and gentle overnight rain! 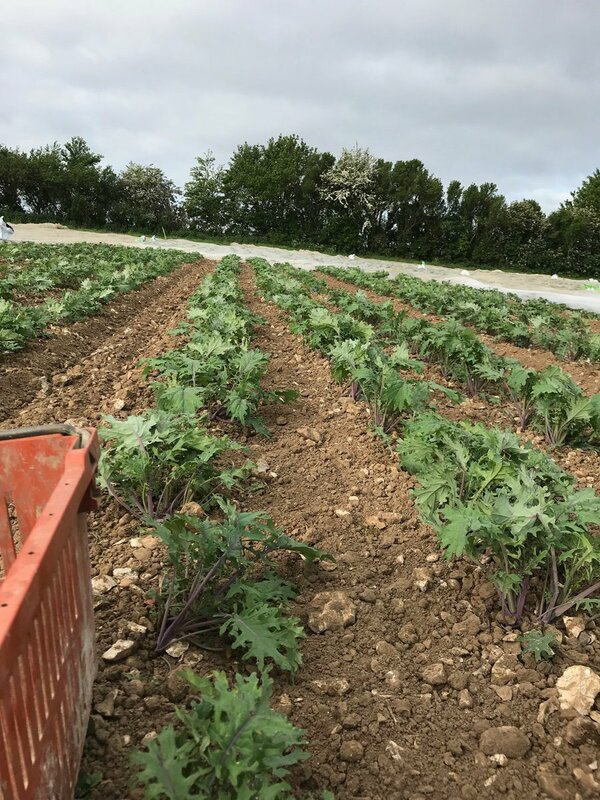 After a slow start to planting we’re gradually catching up – most of the onion sets are planted, a good amount of the seed potatoes is in the ground and we’ve transplanted our first beds of kale, spinach and chard, as well as indoor and outdoor lettuce. The first sowings of salad and spinach failed due to cold and wet (as they often do) but we’ve sown more and will be sowing carrots soon. The ‘Hungry Gap’ is here (that time when stored crops are coming to an end, but the new season’s crops are not ready). Most of the winter roots are finished, and we have a small amount of stored squash left. There is likely to be a gap in kale for a few weeks, but the over-wintered spinach and chard should keep cropping until the new plants are ready. We have started harvesting green garlic, spring onions and tunnel grown lettuce though.